Our Garage Floor Coating system is a revolutionary coating that is proven under heavy vehicle tires, providing long-term performance and durability. This state-of-the-art coating is easy to clean, maintain, enhances lighting, and leaves you free from worry about stains or spills. You can select from a solid color floor, or a random spread of decorative chips, or a floor with a full layer of decorative chips. Our designer finishes, Earth Effects, and Liquid Art offer a more sophisticated look. Our preparation methods are second to none. All floors are moisture content tested prior to determining the appropriate system. All concrete surfaces, whether old or new will be diamond grinded to remove contaminates and open up the pores of the concrete. Cracks, divots, pin holes, and joints will be repaired in the preparation process. 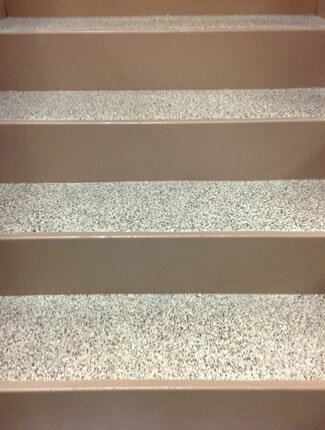 Our Floors receive a primer coat, followed by a base coat, and then the selected floor finish is installed. Our coatings cure twice as hard as traditional materials, reaching full cure in 5-7 days depending on conditions. Best of all, Garage Floor Coating is residentially warranted against delamination. 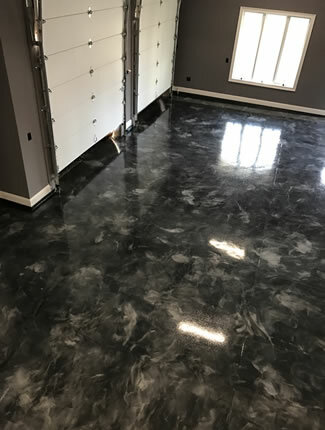 Only Garage Floor Coating of New Jersey exclusive earth-friendly low VOC floor coating systems offer the latest technology combined with knowledgeable and experienced installation providing the homeowner with optimal resilience and longevity. 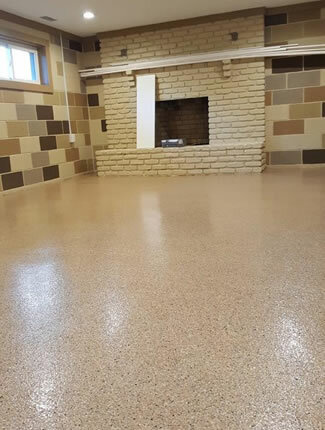 What better way is there to enhance the look of your car or motorcycle and the look of your home than to have a beautiful garage floor. 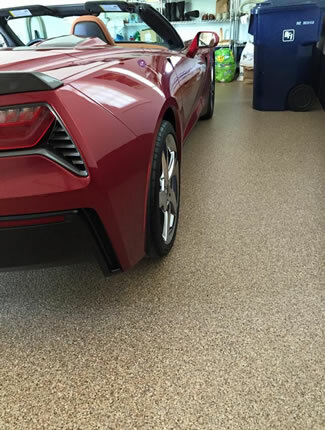 Our Garage Floor Coating System can provide up to 5-layers of protection, an impermeable finish with optional slip resistance. Common liquids such as Anti-freeze, oil, brake fluid, and gasoline will not damage our floors. We guarantee it!